The rain in Spain falls mostly in Bilbao by the looks of it. 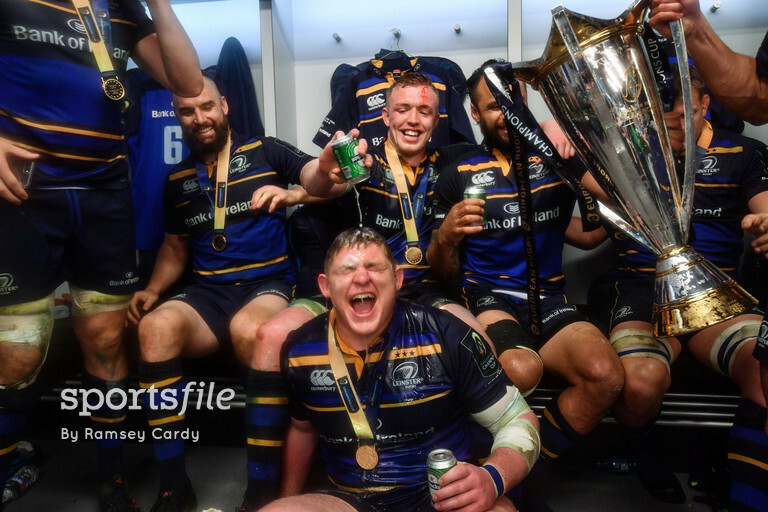 Another historic day for Leinster and Irish rugby came in an unusual location, with some familiar weather. 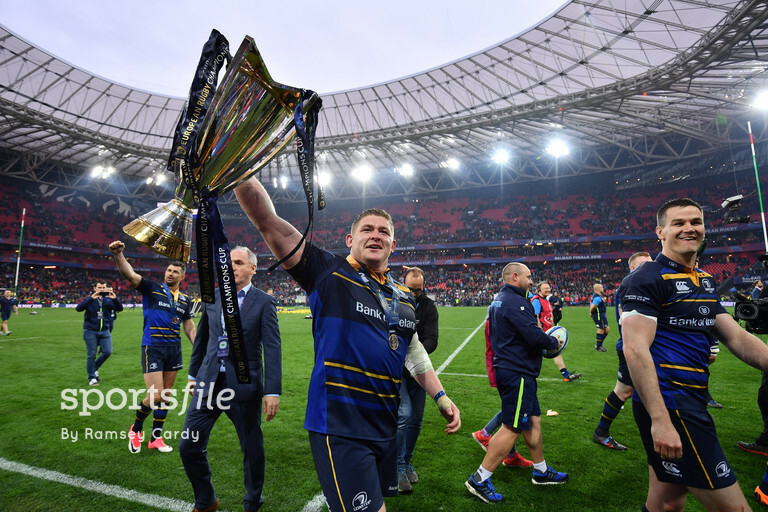 Bilbao may not have meant much to Leinster fans in a rugby context before this season, but now it will be etched into their memory. 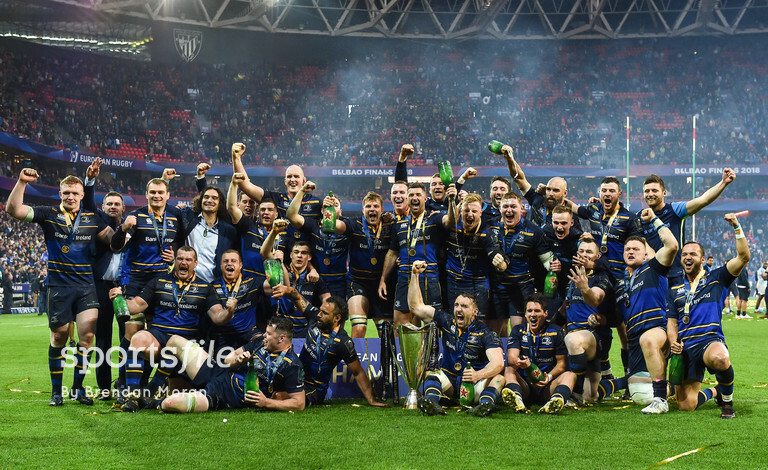 Murrayfield, Millennium Stadium, Twickenham, and now the San Mames Stadium in Bilbao. 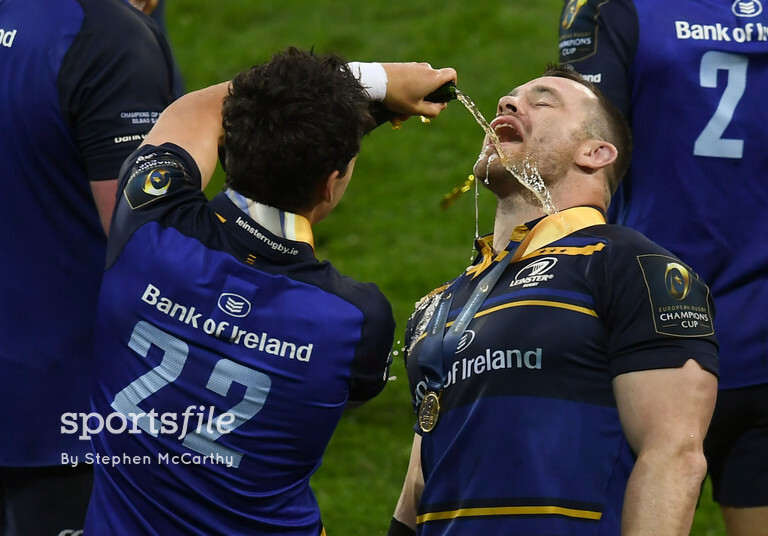 A fourth gold star earned for their jersey after another European adventure ends in delight. 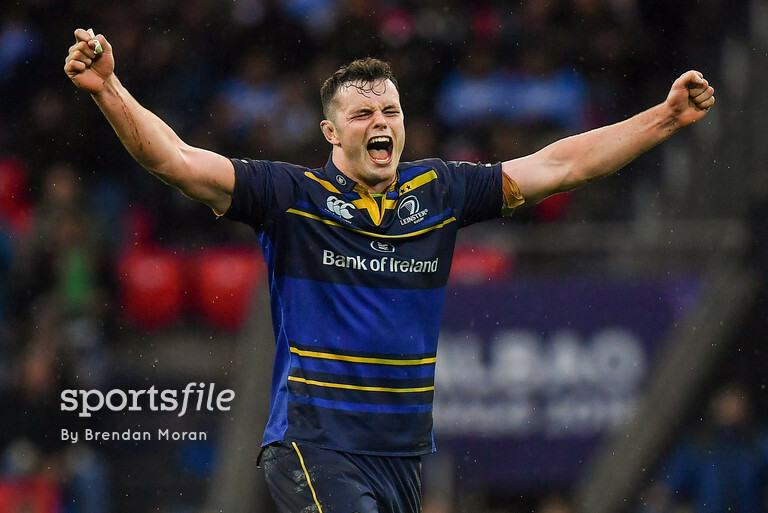 Leinster, the much fancied and heavily-backed team going into the final, were boosted by the withdrawal of Dan Carter from the Racing 92 team with a hamstring injury, along with their accurate kicker Maxime Machenaud and after just two minutes Pat Lambie had to leave the field with an injury. 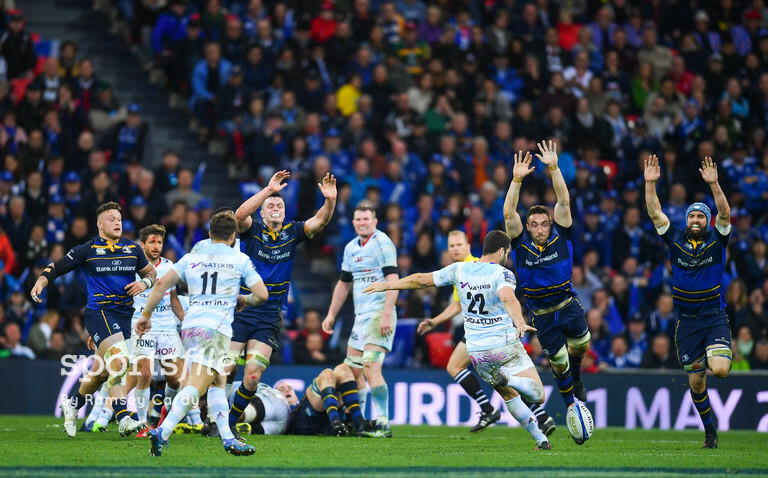 Advantage Leinster, so it looked. 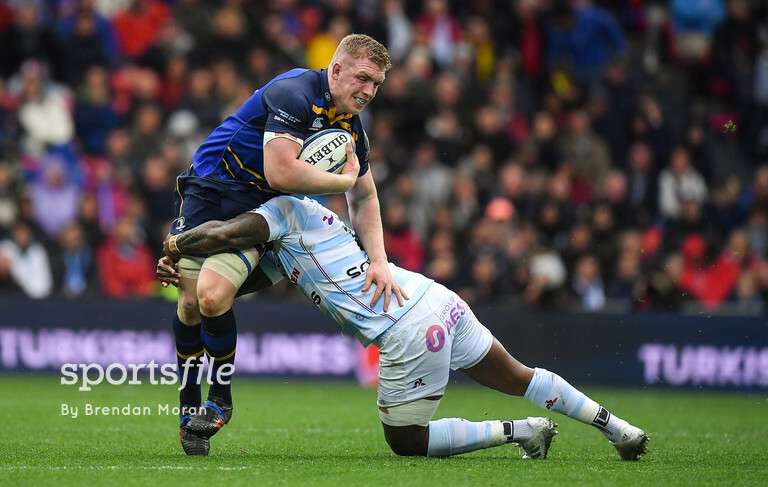 Racing may have arrived onto the field in berets, but hats off to Leinster, they had to dig in and deal with the pressure coming from the physical Parisians. 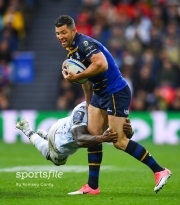 Teddy Iribaren opened the scoring when he kicked the French into the lead with a penalty. 3-0 after three minutes. Fifteen minutes in and Johnny Sexton was placing his tee on the wet Spanish grass for a penalty in front of the posts. 3-3. The sides would trade another penalty each by half-time. Again Iribaren taking the lead, and again Sexton clawing it back. 6-6 at the break. 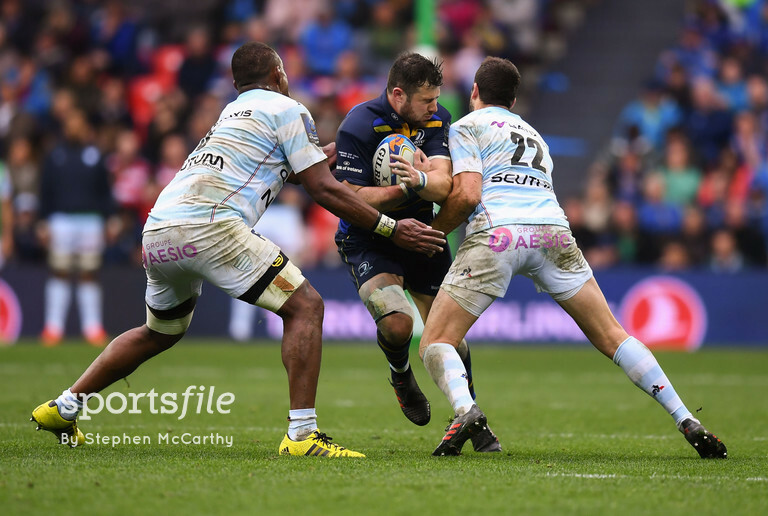 Four minutes after the restart and another Iribaren penalty had Racing 92 leading again. Sexton lost his footing when attempting one of his own minutes later. 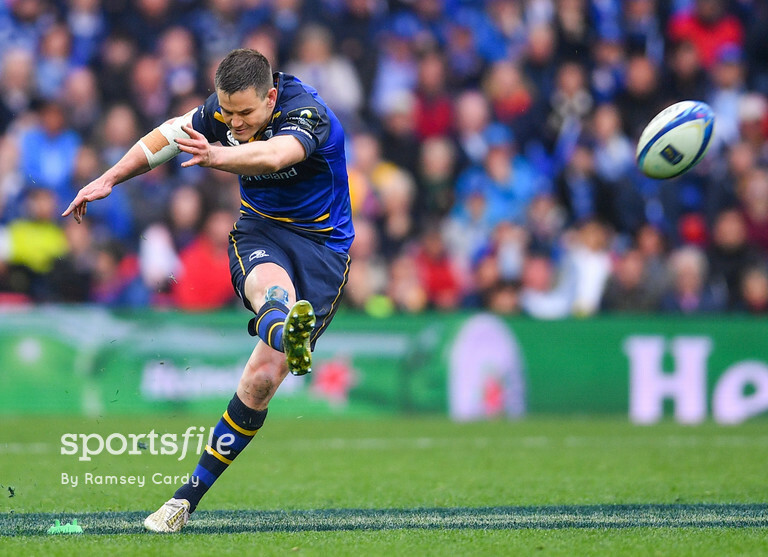 But the Leinster man did level matters with an accurate kick with fifty-three minutes played. And was unfortunate to narrowly miss out on another soon after. 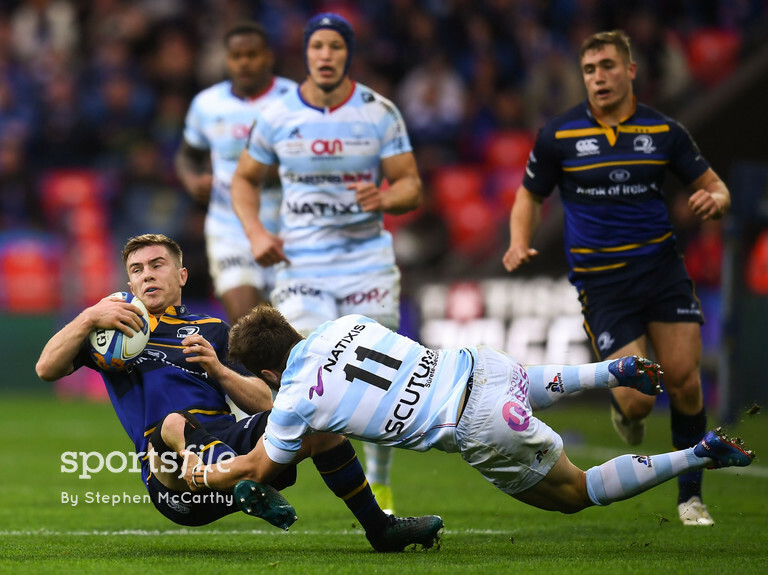 9-9 the score as Leinster’s replacements entered the game. 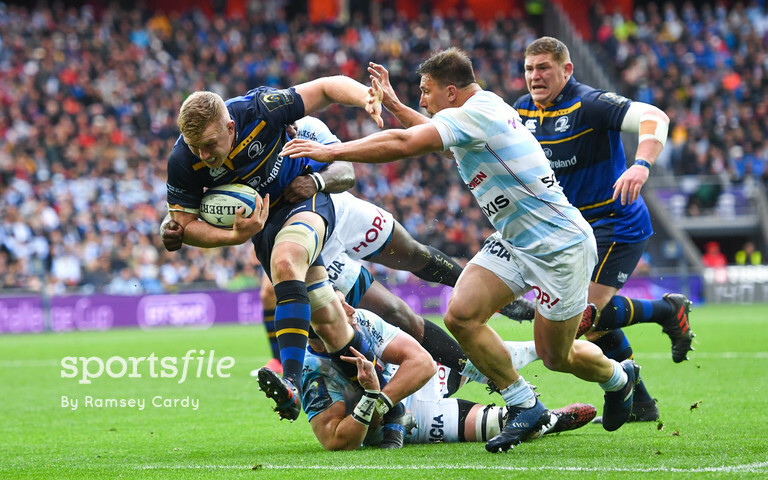 James Tracy, Jack Conan, Jamison Gibson-Park and Andrew Porter were all on the field by the time Iribaren was lining up another penalty for Racing 92. Earning them a 12-9 lead. 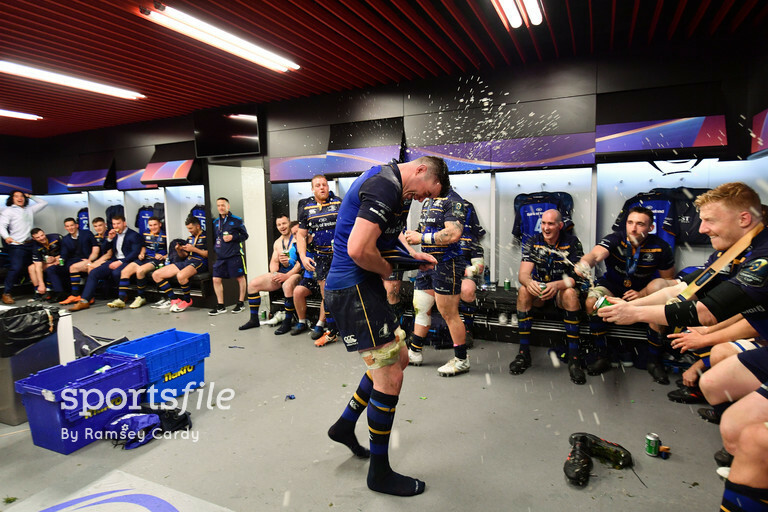 Then when it counted most Leinster took control. 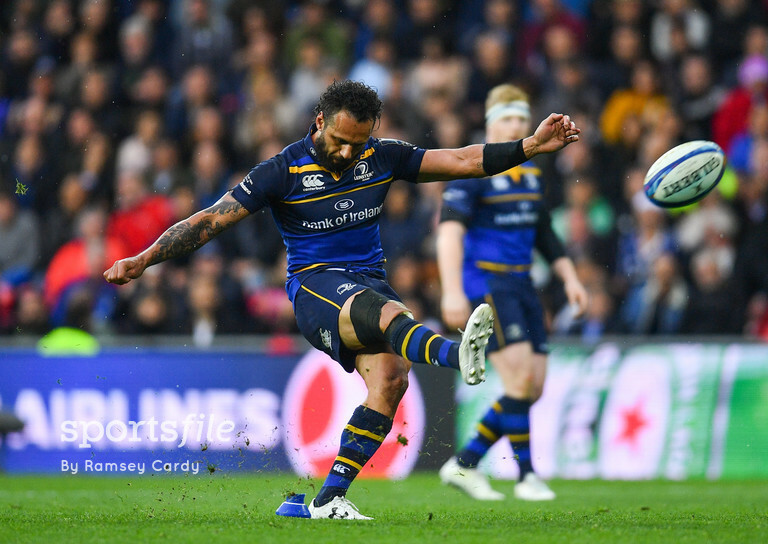 Captain Isa Nacewa took over kicking duties from Sexton and nailed his first kick with confidence. Levelling the game with less than seven minutes to go. 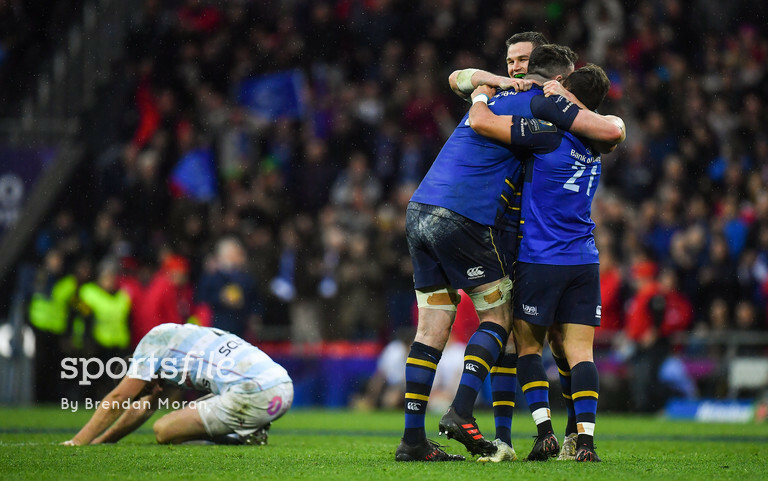 Then in the breathless final moments, another penalty was awarded to Leinster. Nacewa taking his time over it, before calmly thumping over the pressure kick in front of the posts. 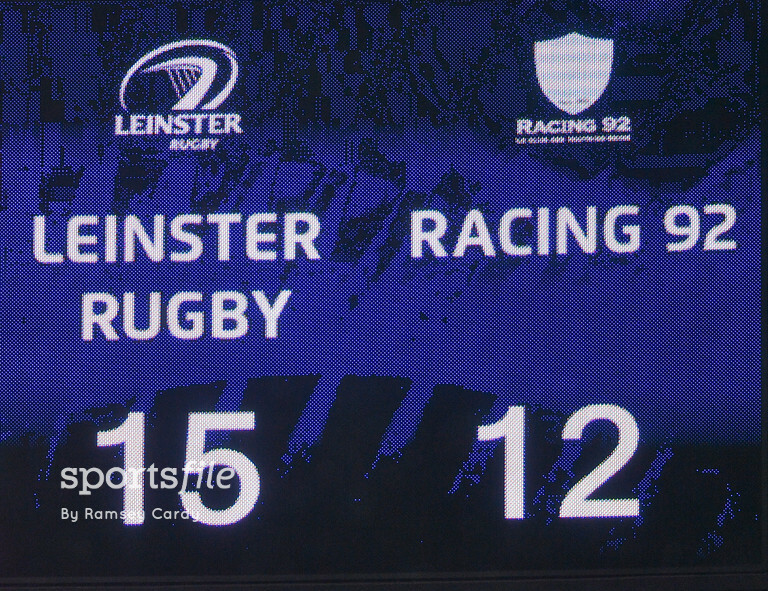 Leinster in the lead for the first time. 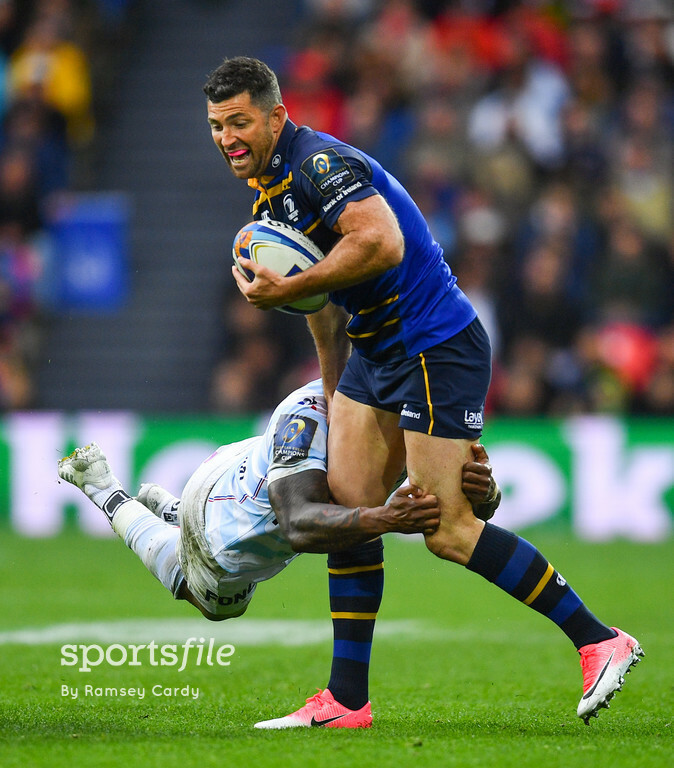 Time was up and Remi Tales had the ball in his hands, the Leinster fans had their heads in theirs. 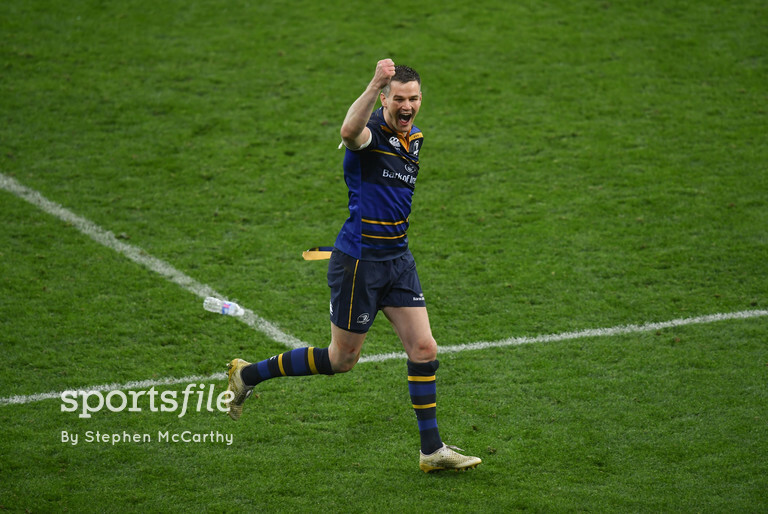 His drop-goal attempt from 45 metres went wide and that was it. 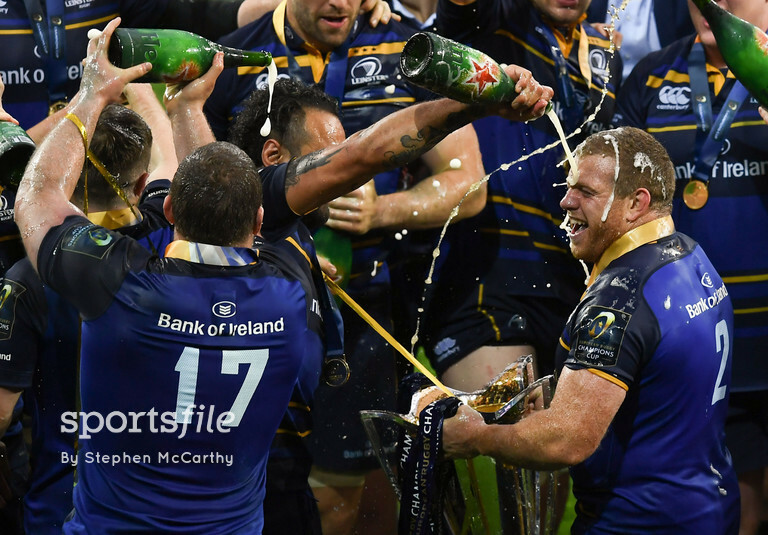 With the shrill whistle from referee Wayne Barnes, it was all over. 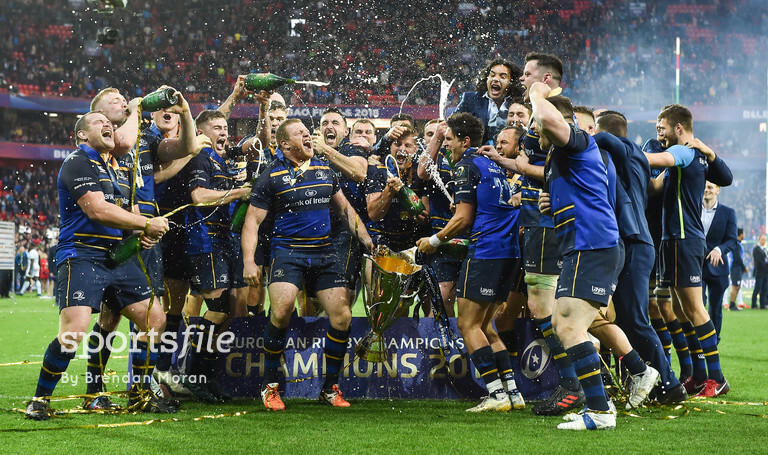 Leinster, Champions of European once again. 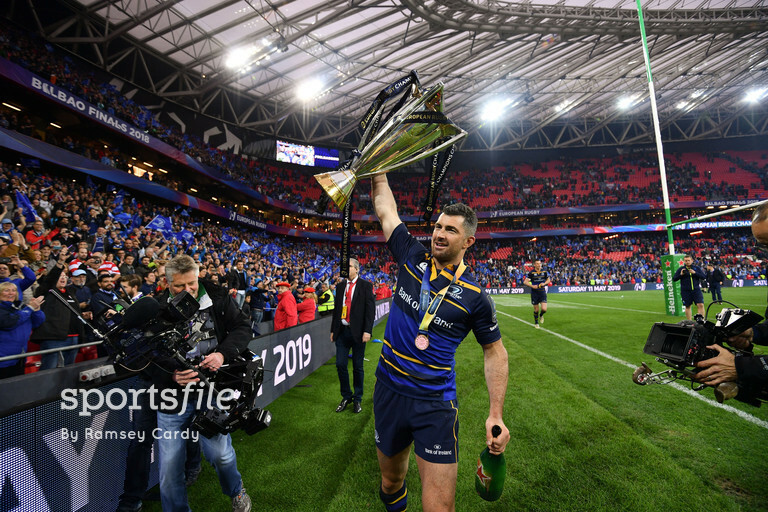 Leo Cullen becoming the first man to win the competition as captain and head coach. 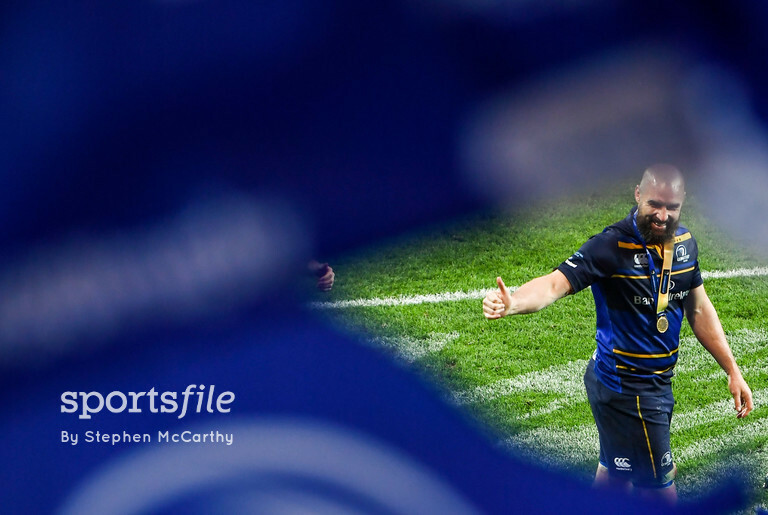 His influence all over Leinster’s four victories over the years. 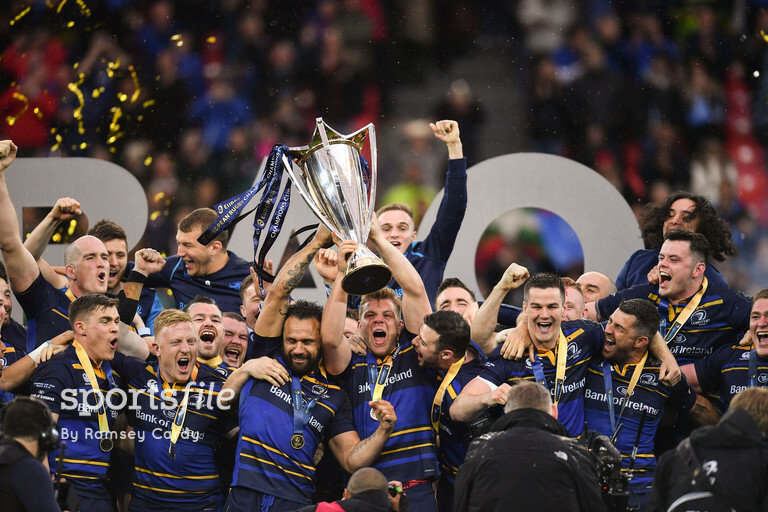 Then Spanish born and Ulster bound Jordi Murphy joined captain Isa Nacewa in lifting the cup high and proud. Basking in the Basque night.